Cure Medical offers two areas of support to the disability community, with the intermittent catheters they manufacture, and also through the neurological research programs that they financially support. That's because Cure Medical is the only catheter manufacturer in the world that donates the first 10% of its net income to research programs in pursuit of a cure for paralysis, spinal cord injury and central nervous system disorders. So, when you use Cure Medical catheters, you are also taking part in the pursuit of a cure! Cure Medical founder Bob Yant, a C4/5 quadriplegic, explains, "I am passionate about funding research because it is the key to discovering a cure. 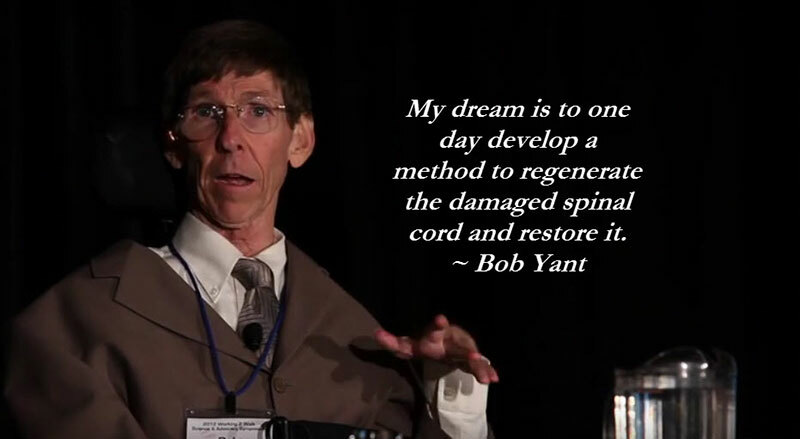 My dream is to one day to develop a method to regenerate the damaged spinal cord and restore it." In 1981, Bob Yant sustained a C4/5 spinal cord injury from a diving accident. Since then, he has devoted much of his time to raising financial support for research toward a cure for spinal cord injury (SCI), paralysis and other neurologic disorders. 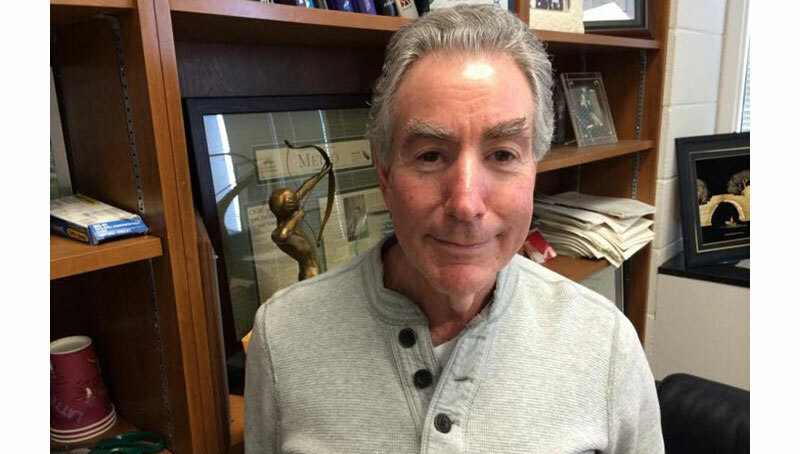 To that end, Bob served for more than 29 years as member of the national board of directors of the Christopher and Dana Reeve Foundation, (and its predecessor the American Paralysis Association). In this capacity, he has helped to raise millions of dollars for spinal cord research, and he continues to support the scientific advancements in pursuit of a cure through his work today with Cure Medical. Yant says, "I realized I had to do this because spinal cord injury does not receive its fair share of research dollars from the government, and support for SCI research from private individuals is also lacking. The average age of a person becoming spinal cord injured is 19. These young injury victims generally have no career or any savings to enable them to support spinal cord injury research." "In the many years that I've been raising money for research, I've been face to face with leaders in the scientific research community. There are many devoted scientists with promising ideas, but without funding they can't move forward," he adds. "That's why Cure Medical is committed to supporting their efforts." New studies and discoveries are being made every day! Cure Medical believes the scientists below and their work in the following areas are worth noting, and stands behind them as financial supporters for their research programs. 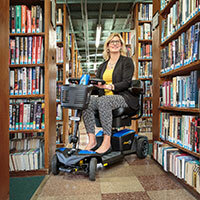 Dr. Beattie studies cell death after spinal cord injury. He also explores the use of stem cells transplanted into the spinal cord. Dr. Beattie has been interested in the neural mechanisms of recovery after brain and spinal cord injury for many years. He and his wife and collaborator, Dr. Jacqueline Bresnahan (also a member of the Neurosurgery faculty), have recently moved their laboratory to the Brain and Spinal Injury Center (BASIC) at UCSF from Ohio State University. Their group is known for developing preclinical models to study recovery of function after spinal cord injury, and for studies of the biology of neural injury and repair. See full bio and contact Dr. Beattie. Jacqueline Bresnahan examines what happens after nerve and support cell injury, as well as how the nervous system regenerates and repairs itself. Dr. Bresnahan's research focuses on understanding the biological underpinnings of neurotrauma, particularly spinal cord injury, with the goal of improving recovery for individuals who suffer damage to the nervous system. Her laboratory has developed a number of models to study cellular systems and behavioral changes that occur as a consequence of injury. See full bio and contact Dr. Bresnahan. James Fawcett is exploring a number of ways to regenerate injured nerves through the scar that forms in the spinal cord after injury. Axon regeneration in the damaged CNS: Regeneration of axons after CNS damage is blocked by several molecules in the environment and by loss of intrinsic regeneration ability, Dr. Fawcett aims to modify the environment to make it more permissive and modify axonal properties to improve regeneration. Plasticity is the main mechanism for functional recovery after damage to the nervous system. In childhood plasticity is largely turned off by extracellular matrix structures called perineeuronal nets. By moduating their function, we can improve functional recovery and memory in the adult CNS. Interfacing the nervous system with electronics: Dr. Fawcett's team is developing a microchannel interface prosthesis which allows permanent extracellular recording from axons. This technology is being developed for control of bladder function in paralyzed human and veterinary patients, and for controlling prosthetic limbs. See full bio and contact Dr. Fawcett. Zhigang He focuses on understanding the cellular and molecular mechanisms involved in axon degeneration and regeneration. In order to repair the damaged supraspinal tracts, the injured neurons first need to recover the capacity for intrinsic growth, initiating regenerative growth. Sufficient numbers of regenerating axons then have to cross the lesion site and remake functional synapses with neurons in the caudal spinal cord. Dr. He's recent studies have led to the development of novel and effective genetic methods (deletion of PTEN and/or SOCS3) for re-activating neuronal regenerative capacity and thereby allowing for robust regenerative growth after injury, representing a major achievement in the first step of neural repair. See full bio and contact Dr. He. Dr. Stephen McMahon is Sherrington Professor of Physiology at King's College London, and Director of the London Pain Consortium. He is a neuroscientist who trained with Patrick Wall in the 1980s. He is principally interested in somatosensory systems and actively engaged in work ranging from molecular biology to electrophysiology to human psychophysical studies. He has published more than 250 original research articles, many highly rated (H-index >80) and is co-editor of the Textbook of Pain. Dr. McMahon has shown that degrading one component of the post-injury scar enables regeneration of damaged central nerves and restores some sensory and movement behaviors. His research areas include behavioural, electrophysiological and anatomical studies of somatosensory systems, particularly pain; and spinal cord injury. There are no effective treatments to promote the repair of spinal cord injuries, so sufferers face a lifetime of disability. Many also experience chronic pain. Dr. McMahon's team is currently exploring a number of approaches to repair spinal cord injuries. They have shown, in preclinical models, that one form of spinal injury – avulsion of nerve roots – can be treated with neurotrophic factors. These factors are insufficient to repair injures of the spinal cord itself. An important reason seems to be the inhibitory nature of the glial scar that forms at the site of central nervous system lesions. See full bio and contact Dr. McMahon here. Dr. Jerry Silver is currently Professor in the Department of Neurosciences at the Case Western Reserve University School of Medicine and adjunct Professor in the Department of Neurosurgery at the Cleveland Clinic Foundation. Jerry Silver studies the molecules that influence developing and regenerating axons along their proper pathways within the brain and spinal cord. The ultimate goal of the Silver lab is to understand the basic biology that underlies axonal dieback and regeneration failure in the adult spinal cord and then use this knowledge to develop strategies to maximally overcome the lack of regeneration after both incomplete and complete cord injury in order to promote functional repair. Although highly controversial from its inception, the Silver lab was one of the very first to suggest that overtly growth-repulsive environments, whose function was to actively turn axons away from improper trajectories during embryogenesis, might reappear in the injured CNS and block the attempt of severed axons to re-grow. The lab's research strategy shows clearly, for the first time, that long distance regeneration, with appropriate re-formation of functional connections, can be achieved in the adult after catastrophic spinal cord injury providing real hope that we are now entering an era where strategies for providing functional benefit in models of spinal cord injury are sufficiently robust that there should be optimism for translational success. See full bio and contact Dr. Silver here. 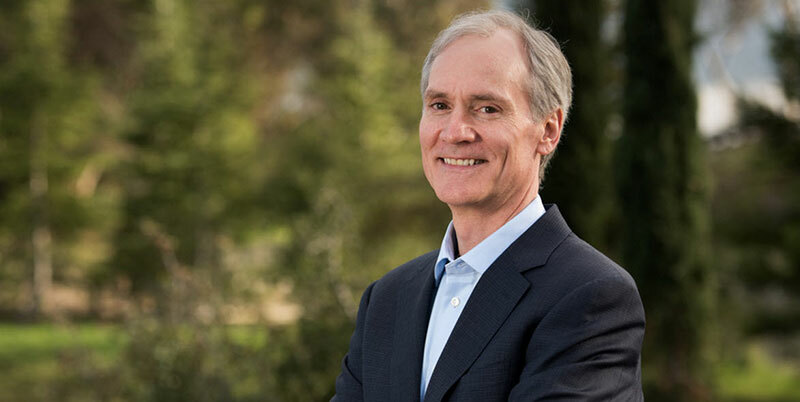 Oswald Steward, PhD, is the UC Irvine School of Medicine's senior associate dean for research and director of the Reeve-Irvine Research Center. In addition to his leadership responsibilities, Dr. Steward studies the molecular mechanisms of spinal cord axon regeneration as well as animal models of spinal cord injury. Almost 25 years ago, Steward discovered that polyribosomes were selectively localized just beneath postsynaptic membrane specializations on the dendrites of CNS neurons. Polyribosomes are collections of ribosomes that are actively engaged in synthesizing protein. They are the basic machinery of protein synthesis. Steward's current research assesses how particular mRNAs are targeted to individual synaptic sites on neuronal dendrites. See full bio and contact Dr. Steward here. Marc Trevor Tessier-Lavigne FRS FRSC FMedSci is a French-Canadian neuroscientist who is the 11th president of Stanford University. Previously, he was president of Rockefeller University in New York City. In that capacity, he led a premier biomedical research and graduate education institution, for the past five years. Throughout his administrative tenures, Tessier-Lavigne has remained active in teaching and research in his field of neuroscience, where he is a world leader in the study of brain development and repair. His research has focused on the cause and treatment of degenerative brain diseases such as Alzheimer's and Parkinson's, as well as on therapies for spinal cord injuries. His seminal discoveries in the biology of the nervous system revealed how neural circuits in the brain form during embryonic development. Dr. Tessier-Lavigne's laboratory investigates how neural circuits in the brain form during embryonic development. See full bio and contact Dr. Tessier-Lavigne. Mark Tuszynski uses the genes of nerve growth factors to stimulate regeneration in the injured spinal cord. Dr. Tuszynski's research bridges basic mechanisms of neurobiological function and clinical translation. He initiated the first human trial of gene therapy for an adult neurodegenerative disorder—Alzheimer's disease (AD)—in April 2001. In that study, he delivered human nerve growth factor to the cholinergic basal forebrain to determine whether cholinergic cell loss can be reduced and cholinergic function amplified in people with AD. Dr. Tuszynski's Spinal Cord Injury (SCI) hypothesis is that combinatorial therapeutic strategies can enhance axonal plasticity and regeneration after acute and chronic SCI. The failure of the spinal cord to regenerate after injury is caused by (1) lack of production of growth-promoting substances such as growth factors in the injury site, (2) lack of permissive bridges for axon growth within injury sites, (3) deficiency of strong signals for the injured cell to re-enter an active growth state, and (4) blockade of growth by inhibitors in the injured region. This research program tests the ability of cells and growth factors to promote regeneration after SCI. Tested cells include stem cells, autologous bone marrow cells, Schwann cells and fibroblasts. The Tuszynski group is examining both acute and chronic models of SCI. See full bio and contact Dr. Tusynski. You did not have a choice regarding your injury or condition, but you have a choice over treatment and finding a cure. Bob Yant, founder of Cure Medical, would love to meet you in the Zone! Learn more about your options as well as the latest research advancements by visiting with Bob Yant, who will be leading a meeting on this topic in the Abilities Expo Meet Up Zone on Saturday, March 25, from 11:45 am – 12:15 pm. Bob will also be on hand for more questions in the Cure Medical Booth (#446) throughout the expo show hours on Sunday. For more information about the research programs that Cure Medical supports, please visit www.curemedical.com.